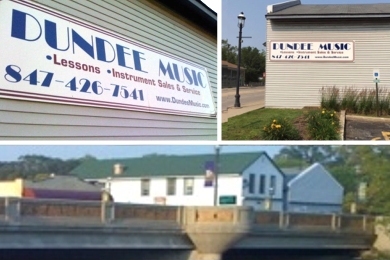 Dundee Music is owned and operated by professional musicians. We offer private music lessons on guitar, bass, piano, drums, vocals as well as band and orchestra instruments. Through our partnership with Music & Arts, we offer a complete line of band equipment, and work closely with the school districts programs to provide you with the instrument you need for band or orchestra. Dundee Music is owned and operated by professional musicians. 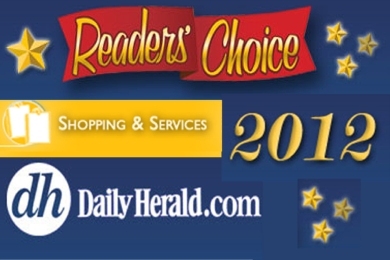 We are located at 7 E. Main St. in the historic district of East Dundee. Our main emphasis is on our teaching program. 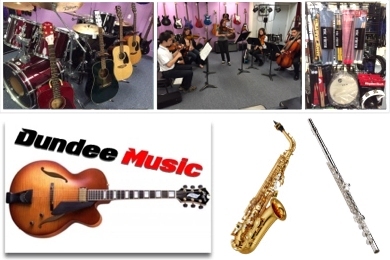 We offer private music lessons on guitar, bass, piano, drums, vocals as well as band and orchestra instruments. All of our instructors are professional musicians with many years of teaching and performing experience. We also carry music accessories, sheet music, band and orchestra supplies, instrument repair service and some new and used instruments. "Whether you're a beginner or an experienced musician working to take your playing to a higher level we will help you reach your potential and achieve your goals." Our music instruction is second to none, contact us today.